HMD Global recently resurrected the iconic Nokia 3310 by launching its modern avatar at MWC in Barcelona, Spain. The new Nokia 3310 (first impressions) comes in several peppy colours, and is priced at around Rs 3,500. Soon after the launch, Russian phone customisation company Caviar has announced a luxurious model of the modern Nokia 3310. 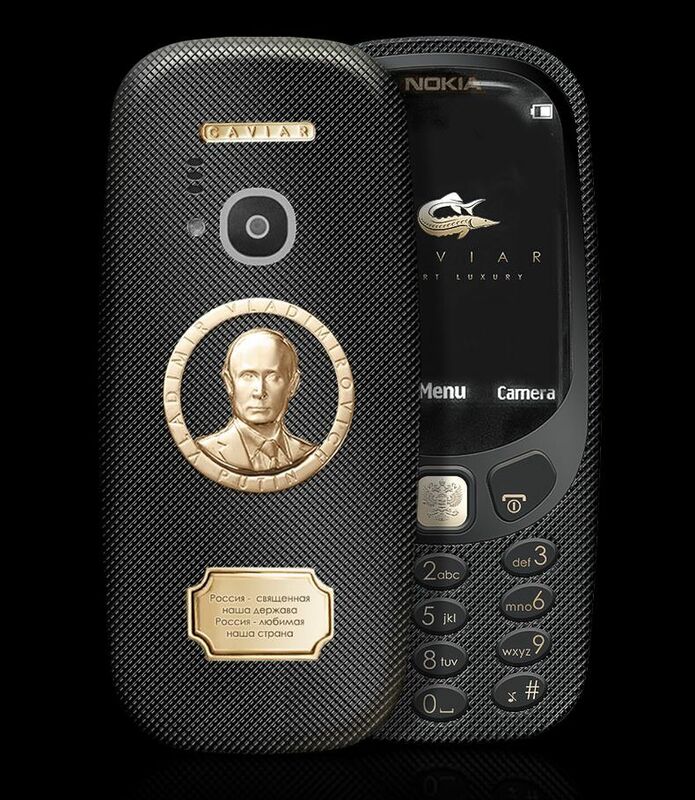 Caviar’s Nokia 3310 is inspired by the Russian president Vladimir Putin. Called the Caviar Nokia 3310 Supremo Putin, the phone flaunts a gold-plated portrait of Vladimir Putin on the rear, and a gold seal with a quote from the country’s national anthem. The phone also sports a gold plated button in the front. Caviar is taking pre-orders for the limited edition Nokia 3310 Supremo Putin for a premium price tag of 99,000 Russian Rubles, around Rs 1,13,200. The luxury phone comes in a premium wooden box. The Nokia 3310 has a huge fan base, but we think paying Rs 1.13 lakh for a feature phone (albeit a gold-plated one), is a bit over the top.